Who: Beyoncé Giselle Knowles-Carter is an American singer, songwriter, and actress — and arguably the best performer of our time. 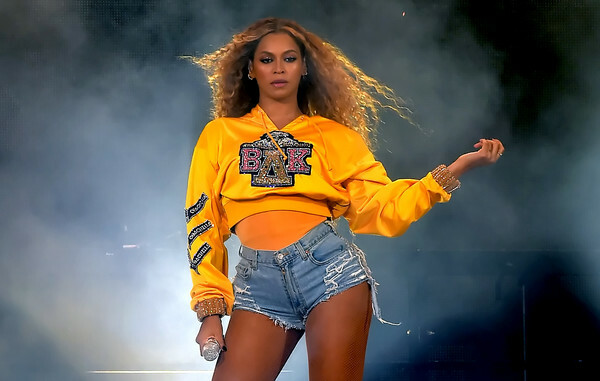 Why she's fearless: In addition to breaking records as both a part of Destiny's Child and as a solo artist, Beyoncé has a whole slew of accolades under her belt — including being the highest-paid black musician, for one, and appearances on Time's 100 Most Influential People In the World list for 2 years in a row. Plus, does alter-ego Sasha Fierce ring any bells? If that's not fearless, we don't know what is! Oh, and there's the matter of Beyoncé's long-awaited Coachella performance — prompting some festival-goers to give 2018's festival the moniker, "Beychella." Our musical picks: "Sorry," "Formation," "Drunk In Love," and "Halo"